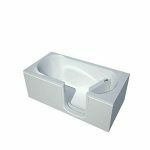 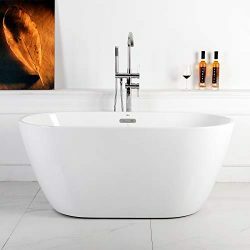 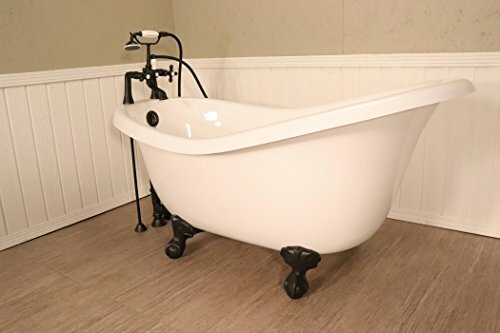 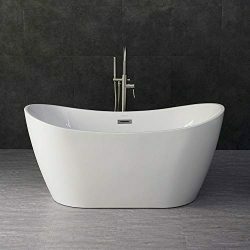 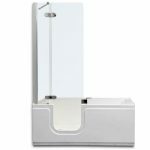 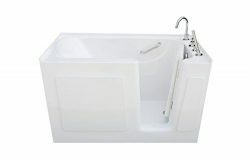 Ella acrylic walk in baths are constructed with premium white gloss finish acrylic and reinforced with gelcoat fiberglass for durability. 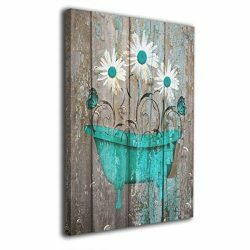 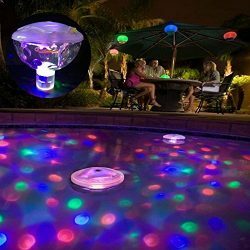 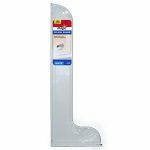 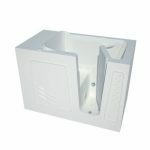 Its scratch resistant, nonporous surface is easy to clean and maintain, impermeable to mold. 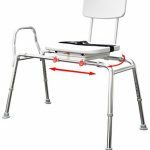 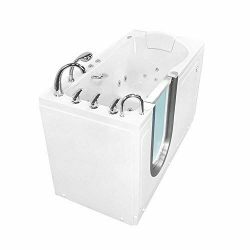 The shell is supported by a stainless-steel frame with adjustable leveling legs. 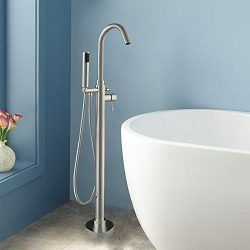 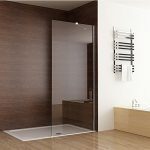 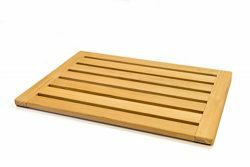 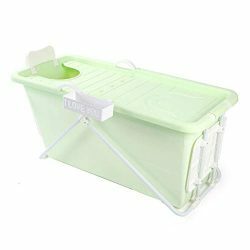 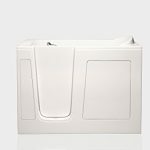 The Deluxe comes with a textured slip resistant floor and an inward swing door with a low step-in threshold to enhance bather’s safety and allow quick and safe entry/exit in and out of the tub. 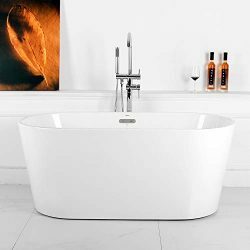 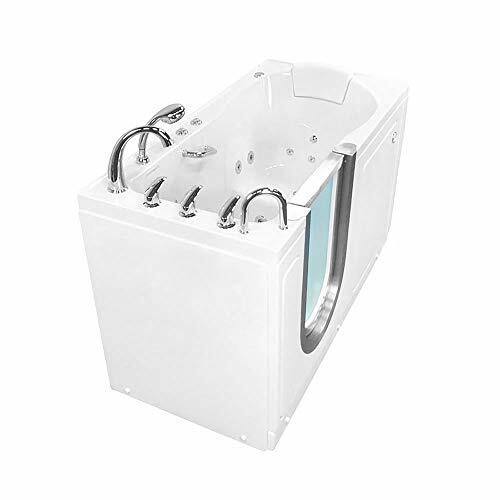 This tub comes with a stainless steel and tempered glass door which is extremely durable and watertight. 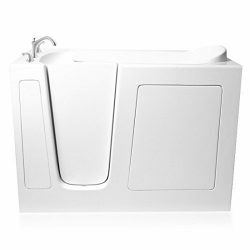 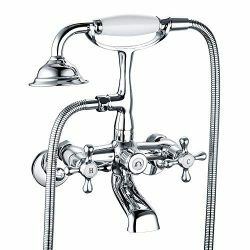 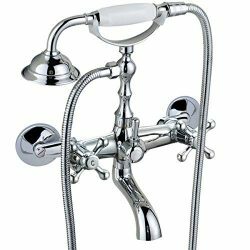 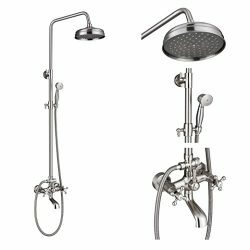 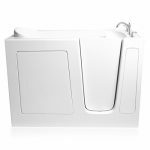 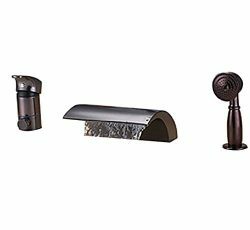 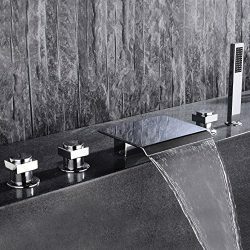 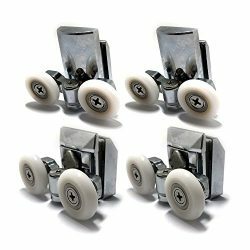 Included are two 2″ drains with two overflows and independently operated drain openers with extended handles for an easier grip. 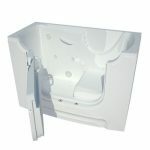 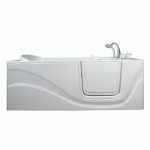 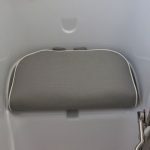 Comes with extension panel filler kit allowing this tub to fit into a standard 60″ alcove opening. 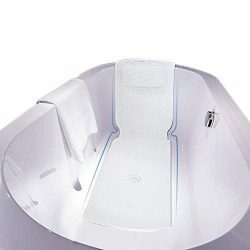 Strategically placed jets offer a therapeutic experience like no other. 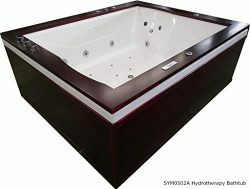 Relax in serene waters and enjoy yourself as the massage jets work their magic to relieve stress and rejuvenate you.